And if that doesn't help you please explain your problem properly so that we may understand. 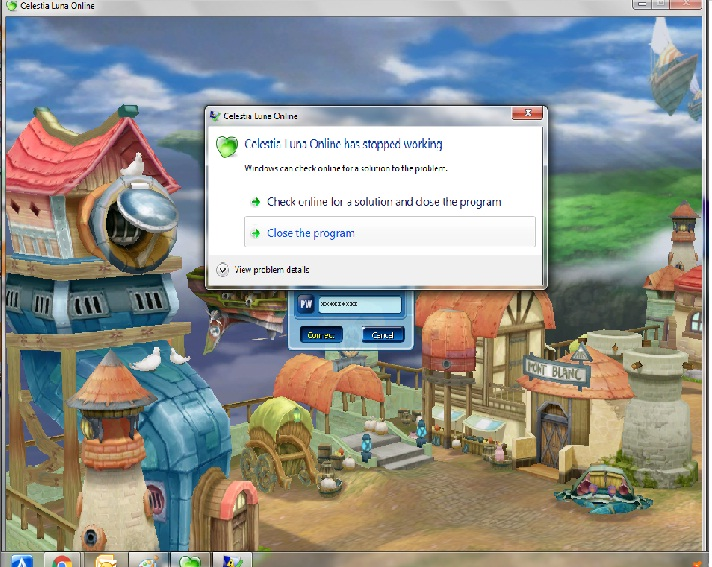 same error exist.. the game client Force closed. 3. Install again , and enjoy your gameplay . Hi Same error here. already follow instruction above as jek. Kindly do reply/assistance for this error. New Player here and im willing to play this game. 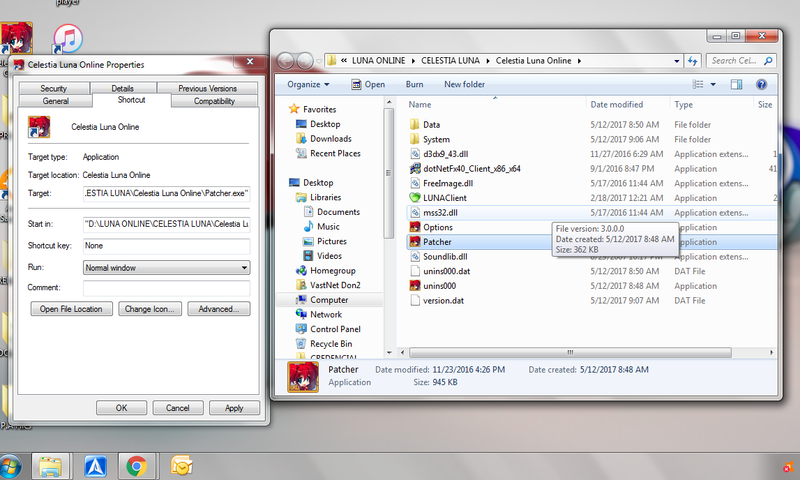 Before i download celestia luna, i already played LUNA INDONISIA but no error issue like on this server. Did you try the second part of the solution? We already DL VC Redist but my laptop is 32 bit only. any suggestion reg other REDIST? The x86 version is for 32 bit, that's the one you install. Madam i already DL that version but still crashing the client. huhuhu. need to play this game. You said you followed the steps related to your antivirus, what is your antivirus? And did you add the exception or simply disable it? If disabling your AVAST is not helping, have you considered uninstalling it? You might want to run a full scan to make sure there's no virus/malware left behind before uninstalling. My laptop has no antivirus software installed, Windows Defender is the only thing to keep me safe and I can run the client without any problems. Vincard why the indonisian client when i install its easy to patch and play. Thrn when i play the CL this issue happen. And i already remove my avast still not working. Is the server still active? I'm not sure why. Did you try running the patcher as an administrator or set the client to be run in compatibility mode (Right-click on client icon->Properties->Compatibility tab)? Hi, there are no problems with our client, if you say you uninstalled your antivirus and installed VC Redistributable 32bit and you're still having problems then there is something wrong with your Windows installation. Our client works perfectly fine on fresh installations of Windows from XP to 10. The only reason few antiviruses flag our client is because we have an anti-hack system implemented that other servers don't have. Same problem here, since December 2016. If you have tried all of the solutions on our help page https://celestialuna.com/help and you are still having problems then you have some corrupt windows files. As I stated above our game works perfectly fine on fresh windows installations from windows XP to windows 10.